During a recent heat wave, Brian and I found that water was not replenishing our bodies or quenching our thirst. 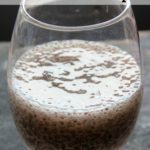 We did not have any of our homemade sodas on hand, so we searched through cookbooks to find a simple, refreshing drink that we could make with ingredients we had on hand. We found shrubs. Shrubs, or drinking vinegar, were popular during the 17th and 18th centuries, and have enjoyed a revival in recent years, not only in home kitchens but also in cocktails. A shrub can refer to a type of fruit liqueur, or a non-alcoholic beverage made from a sweetened, vinegar-based syrup. 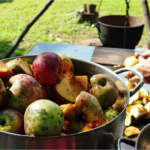 The addition of vinegar preserves the fruit syrup, and also adds a tangy and thirst-quenching quality. A few years ago we planted hundreds of native and edible trees and shrubs. (For those of you in Missouri, check out the George O.White Nursery, which offers a wide variety of Missouri natives for wildlife habitat, reforestation, and erosion control at an incredibly inexpensive price – we got many of ours for .35 cents per plant!) This year we’re enjoying the literal fruits of our labors, harvesting elderberries and chokeberries. 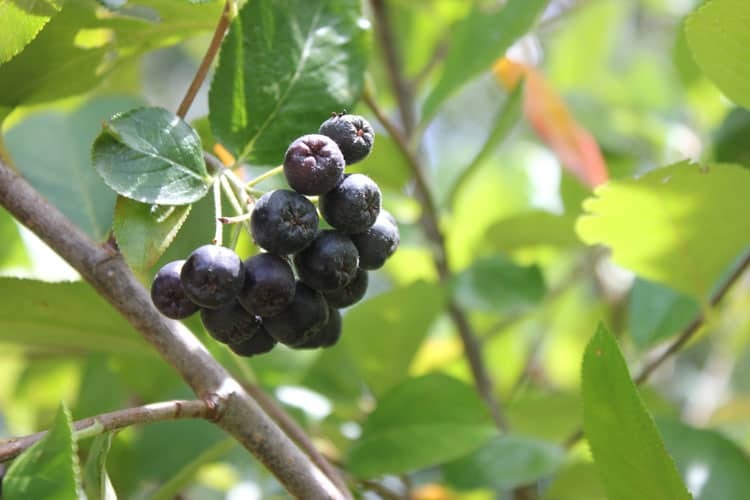 Chokeberries (Aronia genus) are gorgeous shrubs that produce blueberry-sized berries that are very high in antioxidants. Personally, I find the astringency of the raw fruit very hard to stomach, but that mellows considerably when the berries are cooked. 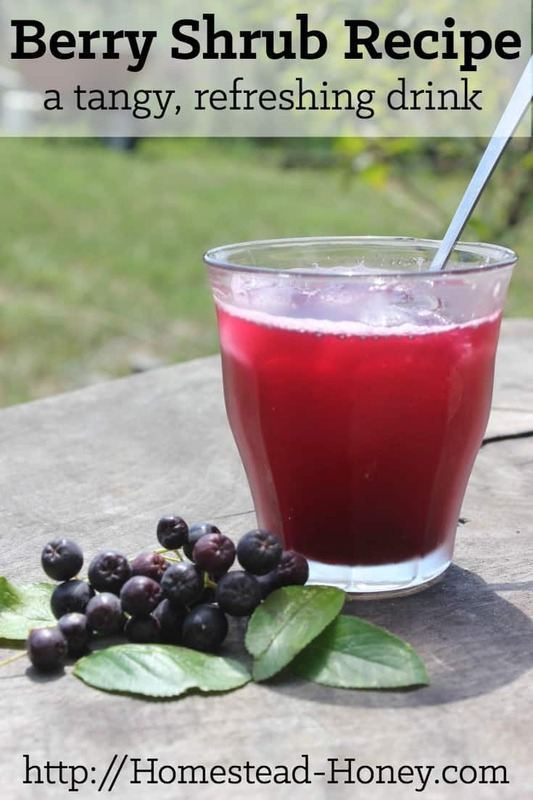 We decided to make a shrub out of our Aronia berries, but you could make them with any berry you have on hand. I think an elderberry or blackberry shrub would be incredibly delicious! Place berries in a pot, and pour the vinegar over the berries. 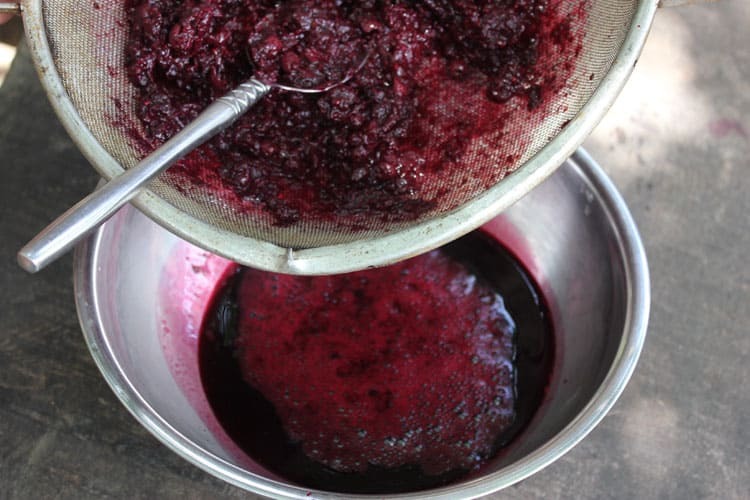 If you have a berry that will release its own juice, such as blackberries, you may not need to add the vinegar at this point, and could choose to add it after cooking and straining. 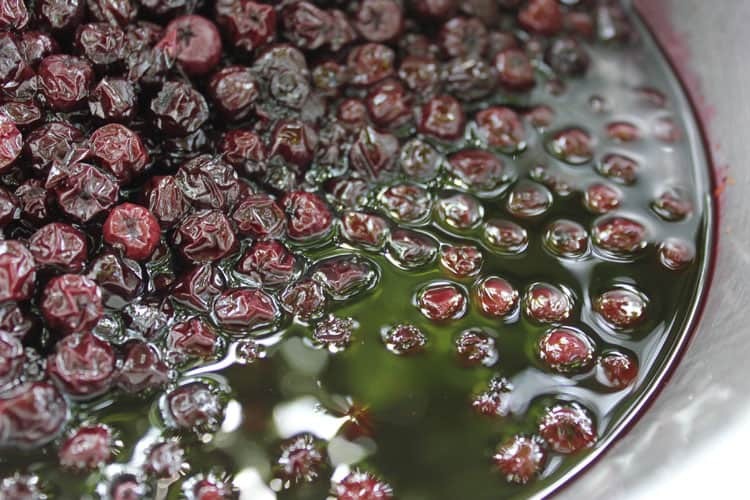 Heat the berries gently, while adding the sugar, and stirring until it is dissolved completely. Bring to a boil, then remove from heat. 3. Pour your concentrate into a glass jar and refrigerate until you’re ready to use. I have read that shrubs can store in the refrigerator for up to six months, but I don’t think you could wait that long to drink yours up!! 4. 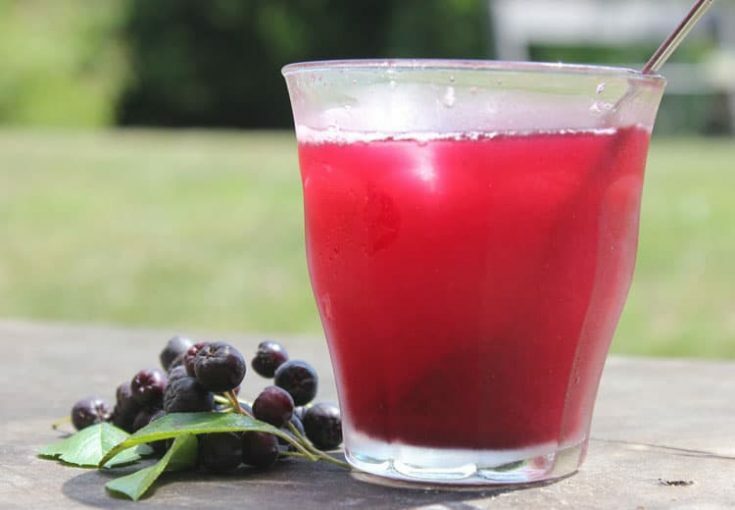 Pour 1/4 cup of the berry concentrate into a glass of ice, then top with water. You may need to adjust ratios, depending on how large a glass of shrub you wish to enjoy! Shrubs, or drinking vinegar, are delicious, tangy, and refreshingly thirst-quenching drinks that you can make at home. Try this Berry Shrub recipe over ice! Pour your concentrate into a glass jar and refrigerate until you’re ready to use. I have read that shrubs can store in the refrigerator for up to six months, but I don’t think you could wait that long to drink yours up!! 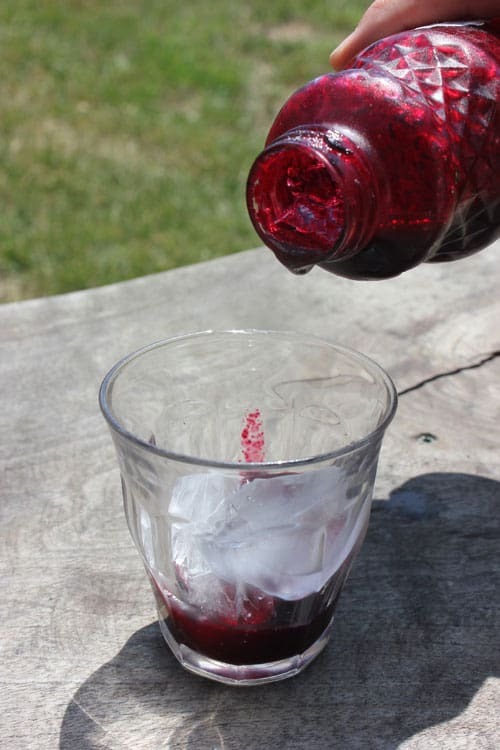 Pour 1/4 cup of the berry concentrate into a glass of ice, then top with water. You may need to adjust ratios, depending on how large a glass of shrub you wish to enjoy! I have read that shrubs can store in the refrigerator for up to six months, but I don’t think you could wait that long to drink yours up!! I’ve been meaning to try this, thanks for the post! You’re welcome! feel free to play around with the proportions. Aronia berries are on the tart side, so we added quite a bit of sugar. It would probably be too much for blackberries! You are right. It was too much for blackberries 🙂 I just tried and recommendjust 1 cup of sugar. But it was delicoius anyway, thank you for the post. I will try to make more of this refreshing beverage. It also inspired me to do some research on the topic of shrubs, which are not very known in Germany. Thank you for chiming in! I will edit the post so it is more clear that you should vary the amount of sugar based on the fruit! after six weeks I can say that you really inspired me to look into a new thing – shrubs. 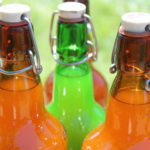 I was fascinated by the easy way to produce a good summer drink in practically no time. Thank you so muchI Meanwhile I have tried pretty much all of the fruits that grow here where I live. And I have done some research, just to find out how old the idea of this beverage is, and how to make it shelf stable. Again thank you and have a nice day and a good start into autumn! 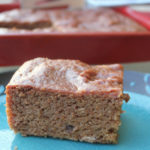 Thanks for your recipes on making shrub. I have been making shrub for over a year now I love it. I’m off all soda and I don’t drink much tea. 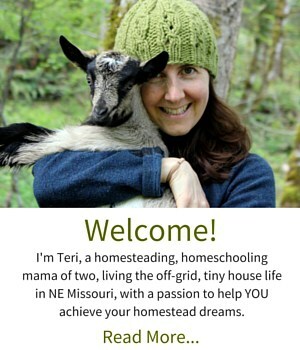 Do you have Tours of your property ? I’m in Ferguson MO. 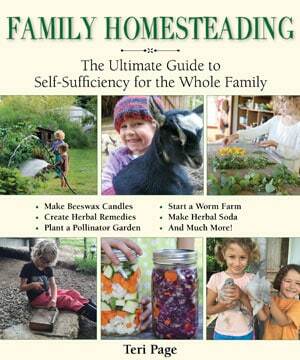 I would love to see how you all work your homestead. Unfortunately, we don’t do tours of our homestead. 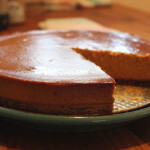 With the blog being so public, I prefer to keep our home life more private. Thank you for sharing your love of shrubs!